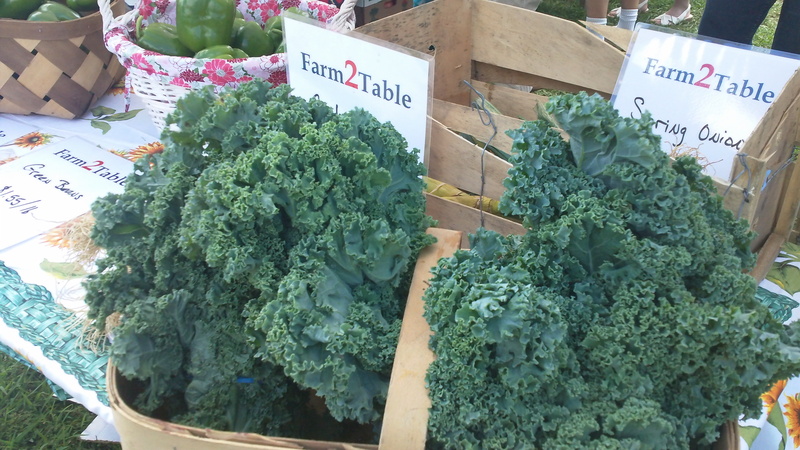 Hip local news…Farmers Market in O.V. It happened this past Father’s Day weekend 6/16/12. A tent was set-up (as well as a few tables) for the NEW Ocean View Farmers Market. 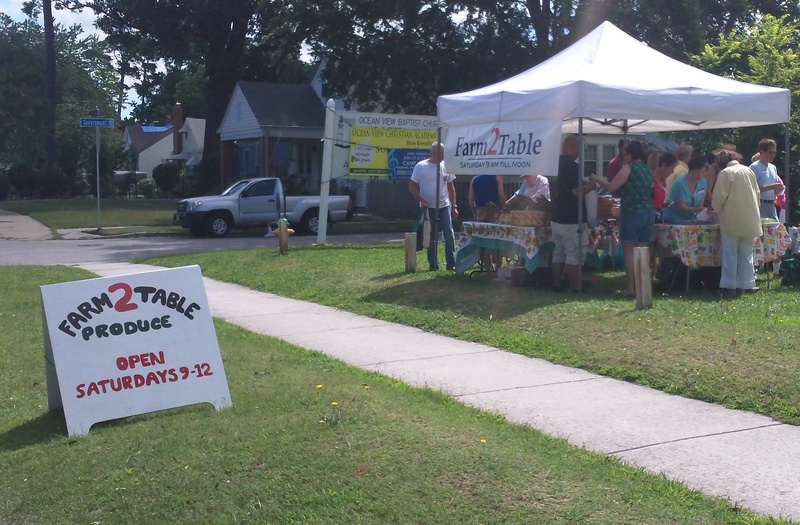 Five Points Community Farm Market is partnering with Pinewell by the Bay Civic League to provide produce for the Farm 2 Table produce stand at Miles Memorial Methodist Church on Granby Street in Norfolk. The market opens this weekend and will be available from 9 a.m. to noon Saturdays until Labor Day weekend, rain or shine. This is the same spot where a pumpkin patch is set-up in October, and Christmas Trees are sold in December. 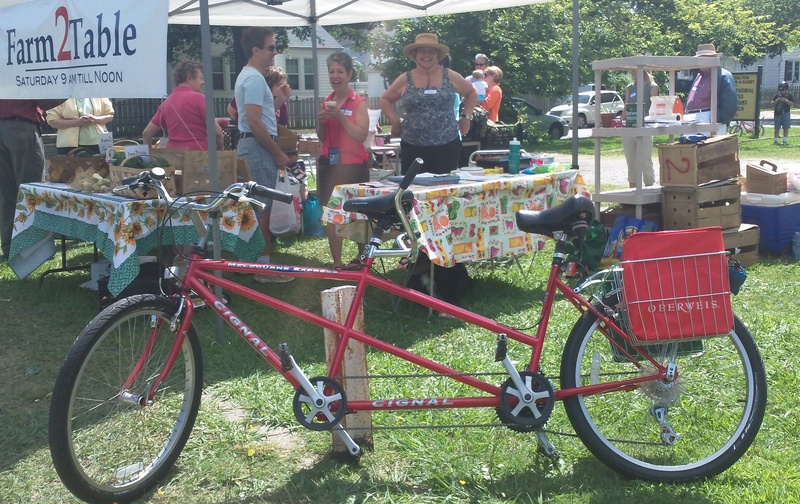 Some Hipsters rode a tandem. Looks like the hipsters in Ocean View, Virginia will be able to grab their canvas bags and get some fresh, locally grown produce soon! The Five Points Community Farm Market is partnering with the East Ocean View Community to provide a Farm Market satellite location in Ocean View! We are working out all the details as to start dates, hours, exact location and the season, but plans are to have an outdoor market with a C.S.A. pick up for the folks in Ocean View! Are we crazy or what?! We are excited about getting good food to the good people in Ocean View neighborhoods. And yes, once the details are worked out, we will be pursuing all the appropriate licenses, permits and approvals required for those who may be wondering! More to come! For those that are new to the whole neighborhood farmers market thing….C.S.A. 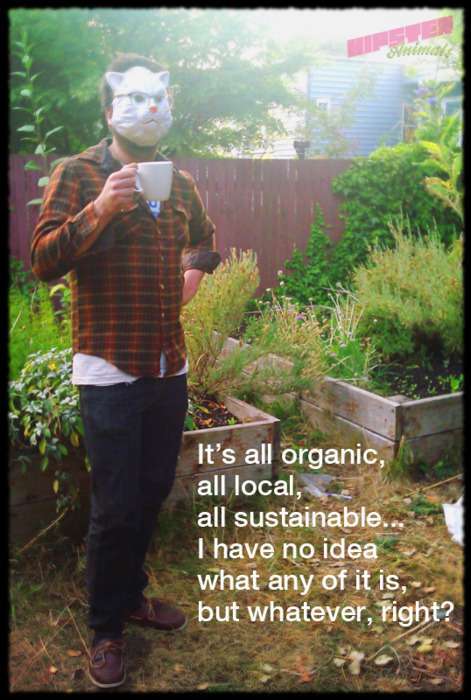 stands for Community-Supported Agriculture. 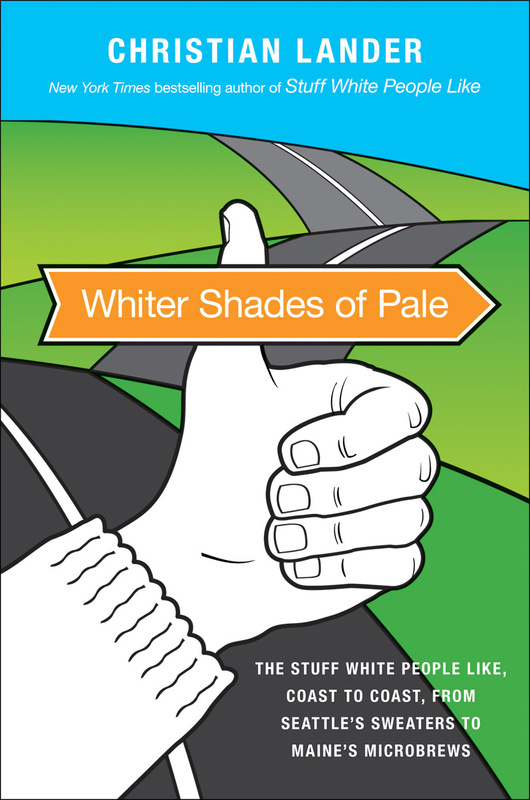 If you’re not familiar with that, check out what Christian Lander, author of the hilarious book Whiter Shades of Pale had to say about it here. Just substitute the word ‘hipster’ for when he says ‘white people’…OK?